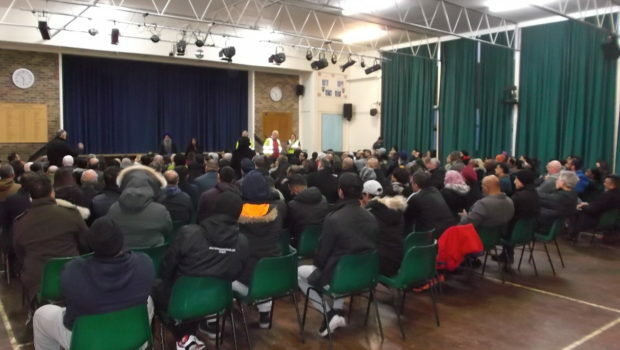 The words of David Wade, Streetwatch volunteer, caught the mood of a majority of the 200 strong audience at Handsworth Wood’s community safety meeting on Saturday. 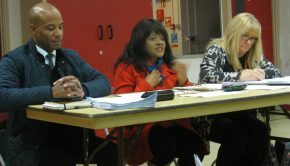 The meeting was convened at Hamstead Hall School by Councillor Kooner, who did a good job of chairing on the night. The use of social media has led to an unprecedented level of awareness of criminal activity in the local area – an awareness further raised at the meeting by individual stories of theft and assault, and even of inability to sleep at night as a result of being hyper-alert to every slight noise. According to the latest local statistics crime figures for burglary, as an example, are actually lower than a year ago, and relatively low overall compared to neighbouring areas. Our heightened awareness, however, brings an increased need for action, and yet with the police focusing on known offenders while having their resources cut by two thirds, there is no prospect of them having a more visible presence on the streets. We have a dilemma: do we keep insisting that the police do more, and resist the urge to step into the gap in any way? Or do we follow our instincts for self-help and mutual support and take action? In the event, people’s pragmatic and human instincts took over and political considerations went out of the window for now. The surprise and enjoyment of finally meeting people from the same road, after years of watching each other from a distance, gave rise to a belief that something worthwhile could come from commiting to a level of involvement with others to look out for, and report, potentially illegal activity. 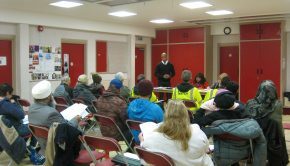 Large numbers came forward at the end of the meeting to volunteer for Neighbourhood Watch involvement, and a smaller number to join the existing 20 members of local Streetwatch. Streetwatch: a police supported scheme in which volunteers spend a minimum of 2 hours per month patrolling local streets to look out for and report illegal activity, and to engage with/talk to people when appropriate and safe. There is a big emphasis on a non-confrontational approach. The police provide training, carry out criminal record checks and provide insurance cover for each volunteer. Patrolling is always on foot and never in less than a pair. There is no necessity to engage with anything or anyone, rather to be ‘eyes and ears’ for the police, and volunteers have no more powers than any other citizen. A report to the police is required before and after each patrol. If you are interested contact Councillor Kooner initially (NarinderKaur.Kooner@birmingham.gov.uk) – there are 6 spaces left on the scheme. Neighbourhood Watch: not linked directly to the police, although they strongly support it, but a volunteer programme with a long history and high national profile. Volunteers in a small local area such as a street come together to gather and share information about illegal activity. Some people will just watch their street from the window a little more than before, some will take more active steps and co-ordinate action and information, but the scheme does not involve any interaction on the street with people who may be causing concern. Again, Councillor Kooner is the best first point of contact at this stage if you want to get involved. ‘WhatsApp’: one part of the area has been using this tool for networking and co-ordinating activity in real time and this is an option for any local group. 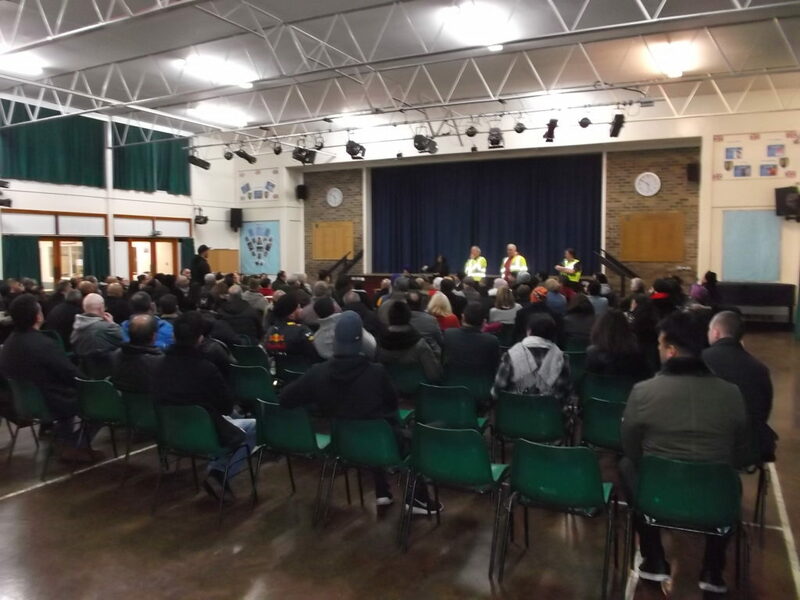 Levels of crime: in the police area which includes Handsworth Wood there have been 17 burglaries so far this month compared to 25 for the same period last year – roughly half of these have been in the area represented at the meeting. Police investigations so far have resulted in 6 offenders being caught (who may be responsible for more than one offence each). Levels of policing: police numbers in the area have been cut by two thirds in the last 2 years, necessitating a very tight focus on activities which have been shown to be effective – such as the focus on known offenders. There were strong demands in the meeting for more police patrols, but the response was that there wouldn’t be any – at which point a number of people questioned the point of continuing the discussion. Police response times: some people had experienced slow/extremely slow responses to crime – to the point where they felt they were getting the message that ‘theft’ wasn’t a big enough issue to be taken seriously. Apologies were given by Sgt. Hayley Thompson, and arrangements made to talk to people individually after the meeting. 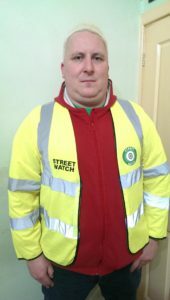 Vulnerability: several people voiced concerns about the vulnerability of Streetwatch volunteers, and tried to get assurances from the police that they would be given a priority response if they got into difficulty. It was made clear, however, that the same judgement of urgency would be made as with any other 999 call. Others played down the vulnerability issue, pointing out that there was no necessity to engage with potentially difficult situations. ‘Reasonable force’: there were requests for clarification of what constitutes ‘reasonable force’ if, for example, faced with a burglar. For whatever reason, this proved to be an unsatisfactory discussion, and those asking the question really didn’t get any clear answer. Communication: turnout for the meeting was outstanding. Social media has played a big part in this, but leafletting may also have made a difference (several people pointed out that they weren’t users of Facebook or the Internet). 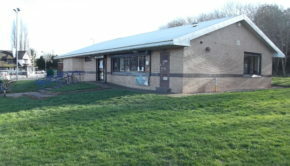 Publicity was given to 2 key local forums which meet regularly and are the main focus for discussion of local issues: the Ward Forum Meeting (next one on 20th March at 7pm at Hamstead Pavilion) and the Neighbourhood Tasking Group, in which police-related issues take centre stage, and which resident representatives can attend. Anyone can attend the Ward Forum, and those interested in the Neighbourhood Tasking Group could contact Councillor Kooner for information. The WMNow network remains an option for keeping abreast of local crime and police activity, and Sgt. Thompson said that if no one objected she would automatically join up to the network all those who had provided e-mail addresses when they signed in for the meeting. £1 per house: one suggestion was for each house in the area to pay £1 to fund use of video surveillance in key areas but this wasn’t taken further by the meeting. Being legal on Facebook: while welcoming the forwarding of car registration numbers and CCTV images of burglars, the police warned against breaching the law on Facebook, whether this be through unwarranted allegations or abuse, breaches of confidentiality etc. Evidence base: there was a query whether enough attention had been paid to the evidence about what works in crime prevention (use of Neighbourhood Watch comes some way down the list of most effective interventions below such factors as improved street lighting etc), and Sgt. Thompson gave assurances about ‘Watch’ schemes being viewed realistically as part of a ‘holistic’ approach. Hard data on effectiveness of citizen involvement is difficult to produce as there is no precise way to measure what it has prevented. 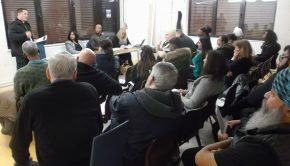 This meeting may prove to have been a watershed for the Handsworth Wood area – the day when its citizens began to realise the potential they hold if they come together on an issue of common concern. Having bottled that feeling, we may need to take many gulps of it before we get to whatever the end is going to be of both local and national austerity measures.